Vegas Casinos, Vegas Shows, Vegas Nightclubs and Strip Clubs, Restaurants, Strip Maps, Hotel Deals, Swimming Pools, Beach Clubs, etc. Las Vegas History Timelines and Vegas Sights and Sounds. 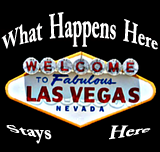 Vegas High-Roller stories and videos as well as information on Vegas VIP entertainment and nightlife! If you’re planning a trip to Vegas, there’s plenty of things that you’ll want to be sure you see. Of course, it’s the casinos and the Vegas nightlife that are most appealing to many travelers that visit this world famous destination. The great weather and outdoor attractions also have appeal as well. Here are some of the Vegas hot-spots you can’t miss during your trip. The Vegas Strip has many of the big casinos that have been around for decades, while downtown Las Vegas is more of a local spot that has some great casinos that are less flashy, but offer a more authentic Vegas experience. The strip is also a major entertainment area with many of the city’s shows taking place in the large hotels that are also home to some of the biggest casinos as well. You can find some of the worlds most dazzling casinos here! For the ultimate Las Vegas Info experience or to book your next visit online, check it out here! You do want to make sure that you take the time while in Vegas to visit ‘Vintage Downtown Vegas’ to see the ‘Fremont Street Experience’. Fremont Street in old downtown Vegas is rich in history and is also basically where it all got started for Las Vegas. Fremont Street is famous for more than just the first casinos in Vegas though. It was also the first street to be paved, the first traffic light, the first high-rise hotel and the first elevator!